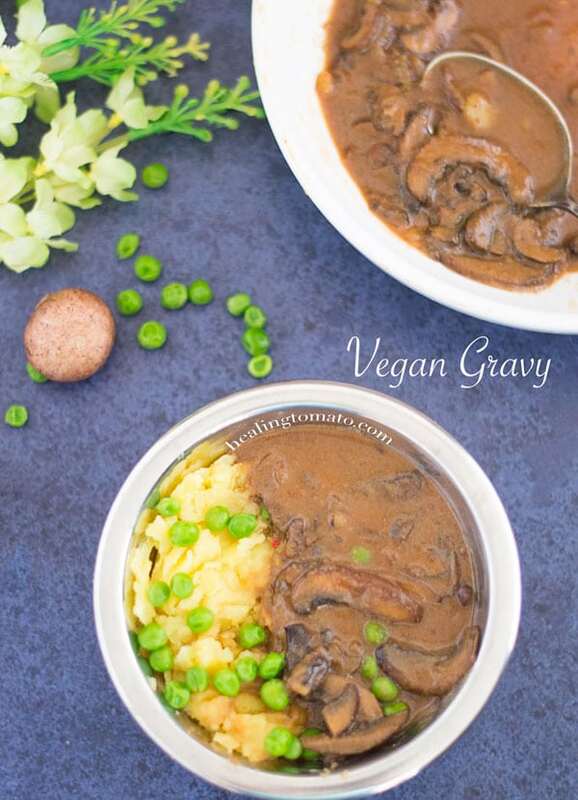 A very quick and easy Vegan Mushroom Gravy. This brown mushroom gravy is the perfect Thanksgiving gravy that even meat eaters love. Don’t you just love a rich, dark brown, juicy gravy? 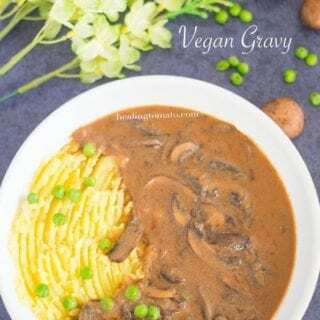 I have to say I am really pleased with this delicious vegan mushroom gravy because it was so easy to make and tastes like heaven! I love when recipes can be made in just a few ingredients. I rummaged through my pantry and easily came up with all the ingredients to make this wonderful gravy recipe. 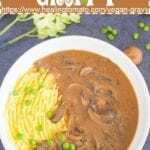 This vegan brown gravy took me only 23 minutes to make. I used small button mushrooms that I sliced really thin and then sauteed them. The secret to this recipe was the coconut! 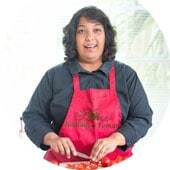 There is (affiliate link) coconut flour and coconut milk in this recipe which gives this recipe its distinctive taste. I had never used any coconut in a gravy recipe before, so, I was a little apprehensive about it. But, those fears were laid to rest with just one taste. Coconut flour absorbs liquids quickly and easily. So, I only used 2.5 Tbsp of it and mixed it with 1/4 cup coconut milk. The last ingredients is soy sauce which brings everything together! 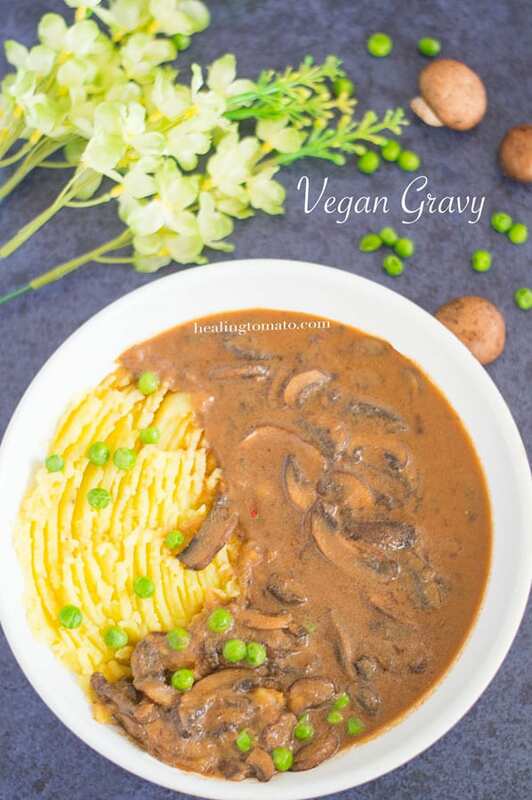 This vegan mushroom gravy recipe beats any vegan gravy mix that I have bought from the store in the past. Making it at home makes it taste 100 times better. Vegan Thanksgiving recipes is one of my favorite meals to prepare. 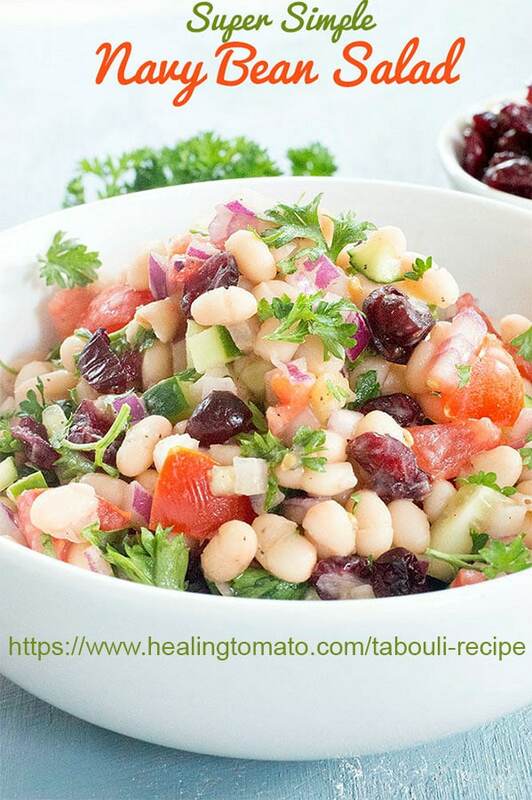 Everything from mashed potatoes, gravy, cranberry sauce and navy beans salad…. …there is no limit to what I can eat. 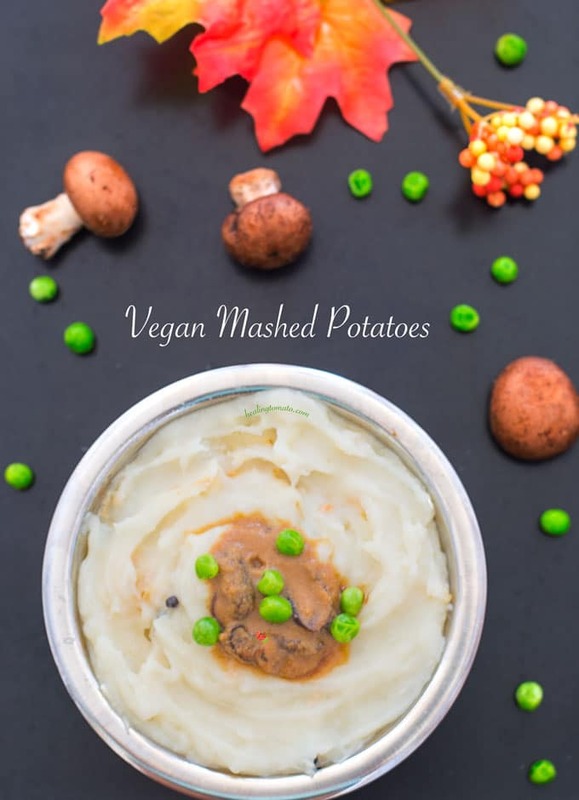 If you are looking for vegan Thanksgiving recipes or vegetarian Thanksgiving recipes, I have quite a few for you to choose from. 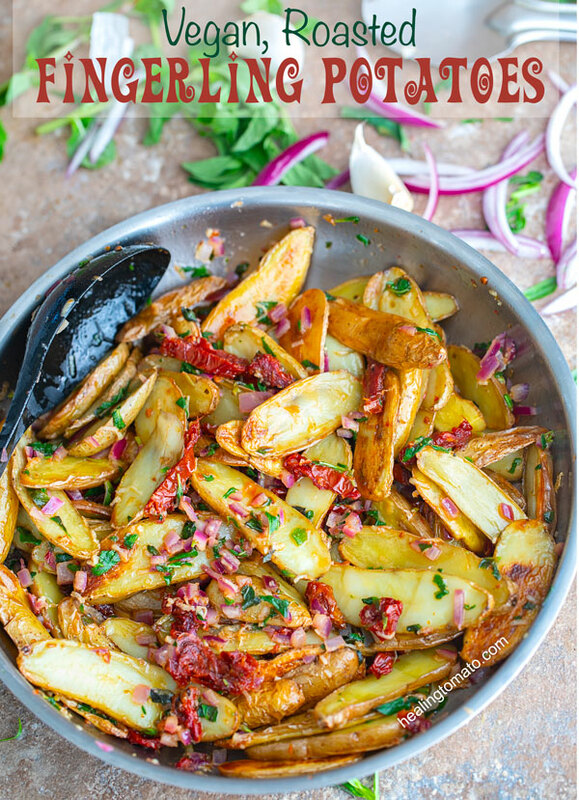 My absolute new favorite is my vegan roasted fingerling potatoes in a sun-dried tomato sauce. I dare you to resist this recipe! What is your favorite vegan Thanksgiving recipe? My mouth waters every time I look at this recipe. 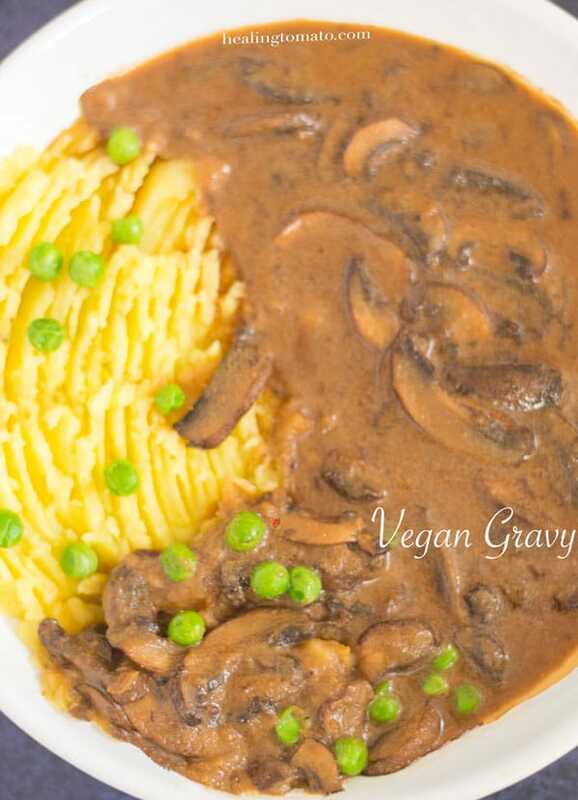 Mushroom gravy is so amazing and I can’t wait to try your vegan recipe. I know it will be delicious! Thank you, Debra. I am in love with these gravy.